When it comes to being air-mobile, the Russian military is second only to the U.S. military. According to the 2018 Military Balance Report, Russia fields 177 heavy to medium transport aircraft. This stands in contrast to America’s 658, China’s 84, France’s 46 and the United Kingdom’s 44. Russia’s transport fleet has proven useful in recent operations in Syria, but how did such a numerous fleet evolve in a military that has a strong focus on ground warfare? What unique capabilities does it have? One of the primary impetuses that drove the creation of a large transport fleet is the existence of the VDV, a specialist airborne branch of the Russian military separate from the rest of the ground forces. While the U.S. Marine Corps can be thought of America’s specialist rapid-deployment expeditionary force, with Marine Expeditionary Units pre-packaged and ready to deploy across the globe on a moment’s notice, the VDV operates on a similar concept. The primary plane in the Russian transport fleet is the Il-76, which was expressly designed for usage by the VDV as a transport and paradrop aircraft. For a truly rapid-deployment role, pure “paradrop” units exist in the VDV. These units are designed to deploy an independent, lightweight mechanized infantry fighting force straight from the aircraft. The Il-76 is designed to fit three BMD airborne infantry fighting vehicles in the rear, enough to equip a single platoon of VDV. Furthermore, as the BMDs get larger, the aircraft get stronger. The one of the latest versions of the Il-76, the Il-76MD-90A, is outfitted with a stronger airframe and engines to cope with the increased weight of the new BMD-4. The traditional “assault” role of the Il-76s is evident in their original design’s provision for rear-facing 23-millimeter anti-air guns to possibly defeat enemy fighters. The VDV also operates in a more conventional airlift capacity for reinforcement and counter-insurgency operations, an important contingency given the massive size of the Russian Federation. In this, troops and some material can be rapidly moved by the Russian aircraft transport fleet, but they are to be used with heavier IFVs and tanks, which are moved by rail. 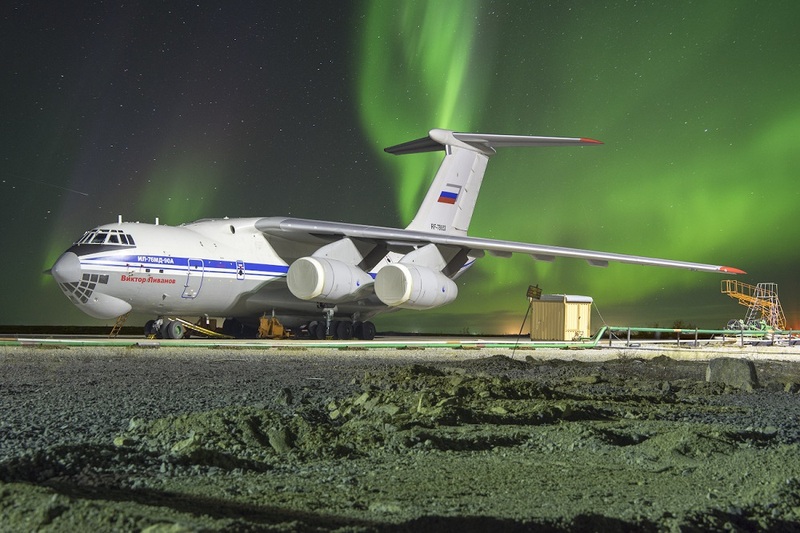 While the Russian Air Force does field An-124 heavy transport aircraft, which is capable of moving heavy armor, they are mostly used to move supplies, and the transportation of heavy armor is relegated to ground or sea methods in the Russian military. In contrast, the U.S. Air Force’s paradrop capabilities are largely restricted to infantry and light vehicles. While the M-551 Sheridan had a limited capability to be deployed from a moving C-130 via a parachute, or airdropped from a C-5, the Sheridan was removed from American service in the 1990s. While there has been some effort to develop a new lightweight vehicle that could provide similar capabilities to the Sheridan, current designs seem to focus on the design being simply airmobile and not paradrop ready. The Chinese military appears to have followed the Russian example, and has developed a series of airborne infantry fighting vehicles, including mortar, anti-tank missiles and anti-tank recoilless rifle versions. Finally, European transport fleets appear to simply focus on the resupply and infantry paradrop missions. The future of the Russian transport fleet appears to continue along this course, giving Russia greater airlift capacity and flexibility. In order to maintain their status as the second greatest air-mobile military, Russia is still looking to upgrade and expand their fleet. At the moment that means looking for a new supplier as their previous manufacturer, Antonov, is now a wholly Ukrainian-owned firm. The new provider will likely be the firm Ilyushin as it is the sole remaining manufacturer for Russian transports. In Antonov’s future projects, there does not appear to be another heavy or super-heavy transport aircraft in the works, but rather another medium weight transport. This seems to suggest that the Russian Air Force’s transport fleet’s primary purpose will continue to deploy the relatively lightweight vehicles of the VDV, without the need for heavier single-item lift capabilities. Additionally, while the An-124s continue to be modernized by Russian firms, it does not appear that there will be a replacement for them in the near future. 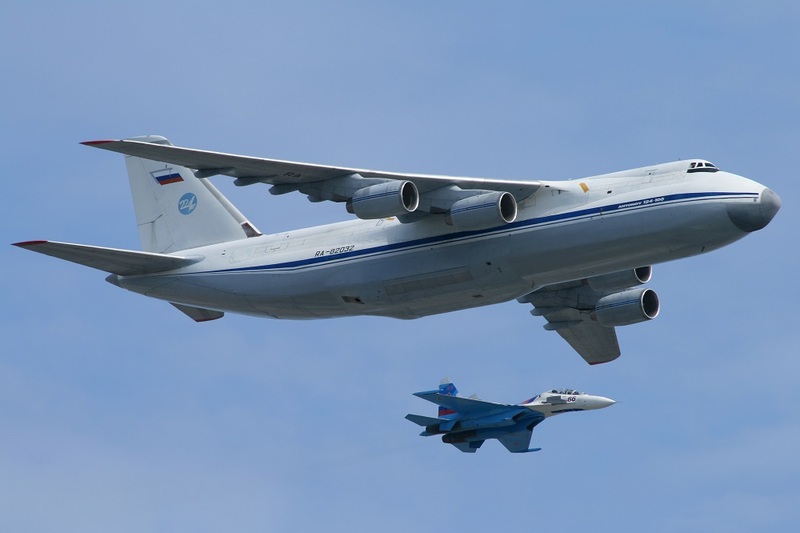 This means that for the foreseeable future, Russia will continue to be a major airlift power and air-mobile military, with light, ready-to-go units, similar to America’s own Marines or airborne forces.